Please contact Dr Duncan Banks if you wish to attend the BNA 2017 Festival of Neuroscience as a member of the press. In order to receive accreditation you must be a journalist or reporter for a local or national paper, TV, publisher or online organisation. Please email press@bna.org.uk to obtain further details. If necessary Dr Banks can be contacted by 'phone on 07399 565677. Welcome instructions for press and film crews. During the Festival of Neuroscience the BNA can assist journalists and reporters with finding background information and experts in the field of neuroscience. The BNA requires high standards in ethical conduct, scientific rigor, and data reliability from all scientific sessions. All abstracts submitted for publication have been reviewed by two scientists familiar with the field of work. The BNA believes that those standards must be applied consistently because it believes that progress in understanding the nervous system beneficially influences human welfare and that this progress depends on the accurate and ethical pursuit and reporting of scientific research. Press should not make direct approaches to scientific delegates, or take part in proceedings (e.g. they should not ask questions after talks at symposia). Contact with delegates should be encouraged, but managed exclusively via the press office through arranged interviews and press conferences. Press will have the opportunity to use quiet space that looks presentable on camera for interviews. If you wish to attend and report on specific events, the press office will seek the permission of the session chairs as a courtesy. It is important to give delegates sufficient notice before you interview them. Please make sure that you only report on current sessions and abstracts. If you are in any doubt as to what is or is not allowed please contact Dr Banks. Enter the BICC Mall and ascend the escalator to the Conference Suites. At the top, follow the corridor to the left of the registration desk. It is signposted Media Suites. The Media Suite is through glass fronted door up a few steps on the left side. The front room is speaker preview room. Go through to back room, which is Press Office. Press/ media interest for session chairs. Example of a recent press release. Example of a publication used in a press release. # Please note that any reports of abstracts contained in this book are embargoed until the day of their presentation at the festival. The abstract book gives information about the dates they will be presented. 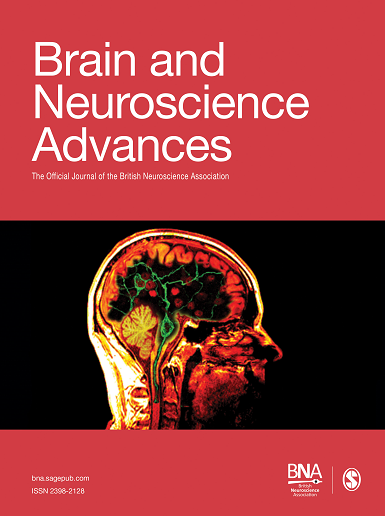 The abstract has been published in the gold open access journal Brain and Neuroscience Advances on Friday 7th April. Click on the image below to open the journal version of the abstracts book. DOI: https://doi.org/10.1177/2398212817705279. This article is distributed under the terms of the Creative Commons Attribution-NonCommercial 3.0 License (http://www.creativecommons.org/licenses/by-nc/3.0/) which permits non-commercial use, reproduction and distribution of the work without further permission provided the original work is attributed as specified on the SAGE and Open Access page (https://us.sagepub.com/en-us/nam/open-access-at-sage).